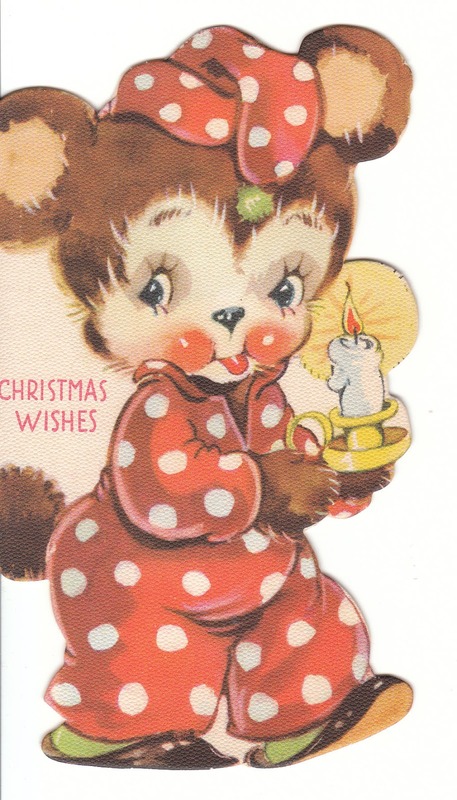 I've been busy with lots of Christmas listings this week - children's books (old and new) and vintage Christmas cards. I'm including just a few pictures of new items here. You will find them all - and more! at Birdhouse Books on eBay. Please note that I am running a 15% off sale on Christmas items this weekend: Weekend Sale (ends Sunday at midnight). The Night Before Christmas is a 1953 vintage Whitman Tell-A-Tale with illustrations by Zillah Lesko. Little Benjamin and the First Christmas is a 1964 vintage Arch Book for children. Pop-Up The Night Before Christmas is a spectacular Mid-Century vintage pop-up book. The illustrations and pop-ups are so bright and colorful! Who's Getting Ready for Christmas is a lift the flap book that functions like an advent calendar. It folds out and is especially cute. The Littlest Snowman is a vintage children's book by George Tazewell, who also wrote The Littlest Angel. The Christmas Nativity - A Manger Scene to Cut Out is an especially nice 1981 vintage cut out activity book for children. We Wish You a Merry Christmas is a lovely big book with a musical element - and a special pop-up scene on the last two pages. Christmas Magic by Margaret Perry is a 1964 Mid-Century vintage Christmas craft book. The crafting ideas and photos are fabulous! Merry Christmas Curious George is a big, cute picture book for children. Richard Scarry's The Animals' Merry Christmas is a lovely big picture book for children. I love this sweet tiny die-cut vintage Christmas card from 1925. 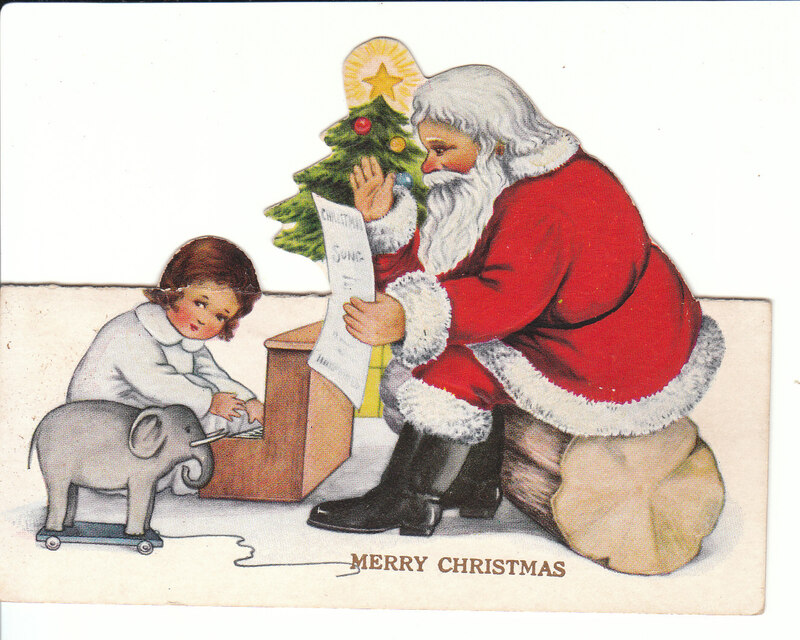 It features Santa Claus, a child playing a toy piano, and an elephant pull-toy. This unused vintage Christmas card for a child features a cute little bear in pajamas marching off to wait for Santa. I hope you find some treasures at Birdhouse Books - and have a lovely weekend!